“It is surreal. I just could not believe it. 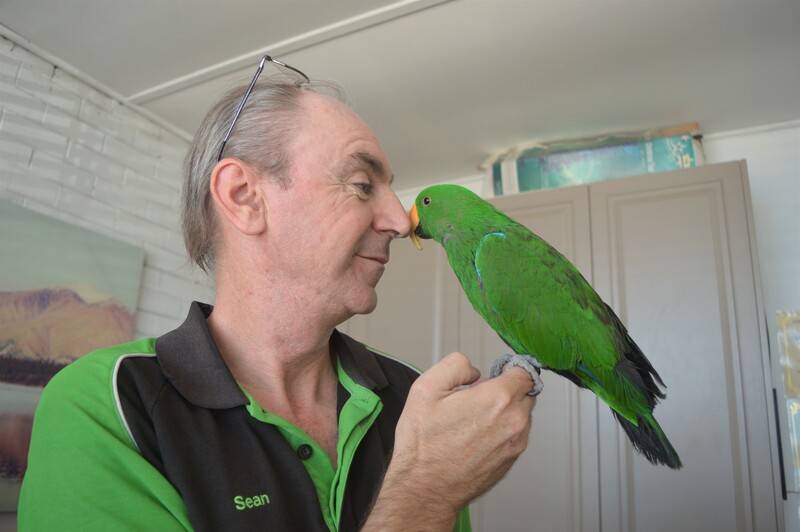 I’ve resigned myself to not seeing him again…” It’s been four long and agonising months for pet shop owner Sean White searching for his beloved Eclectus parrot called Horace. Horace disappeared from the Parkes Pet Barn in November last year. Security camera footage revealed a ‘customer’ took Horace from the shop when the attendant was not looking. Sean reported the theft to the Police and mounted a massive search with Facebook posts, advertisements and followed leads all the way to Newcastle, Penrith and Sydney. Last week he received the best news ever: the Police had found his parrot in Parkes! They went to a resident’s house for another reason, and saw a parrot there. In the same week Horace was found, the person identified on the camera footage appeared in the Penrith court. The man who had Horace claimed he had bought it from the pet shop for $700.